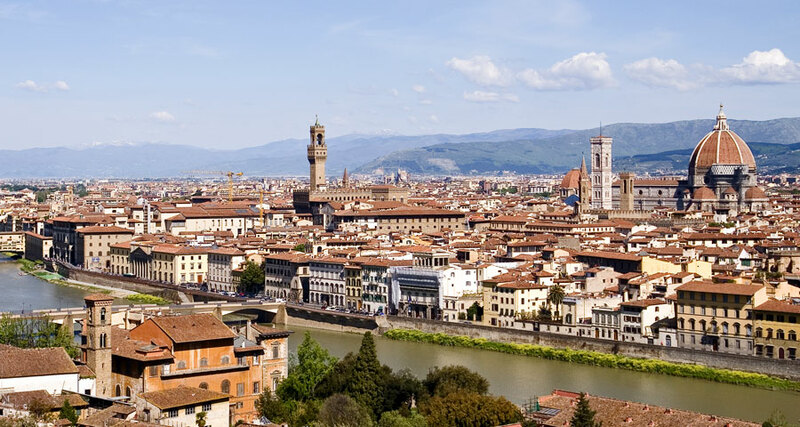 Unfortunately most tourists visiting Florence limit their sightseeing to the famous highlights such as the Uffizi and Accademia Galleries, the Duomo and Ponte Vecchio and maybe just some other famous basilicas, as they are so much time pressed. Whilst all above sights are a must and should definitely not be missed, Florence has much more to offer and trying to spend at least an extra half a day to explore some of its less obvious and less crowded art or shopping treasures will make your Florence experience really unforgettable. We shall be more than happy to help you in finding some 'off the beaten track' wonders. Following are some of our suggestions, but that's just to start. Just a few steps or blocks around Hotel Casci you can find some lovely traditional Florentine craftsmans’ shops selling paper-mache masks, hand-painted papers, pottery and hand made violins. However, a few hours gazing around the Oltrarno section of the city (i.e. on the other side of the river Arno), will enable you to discover quite a few more, such as silver and goldsmiths, silk-factories, antique shops, etc. 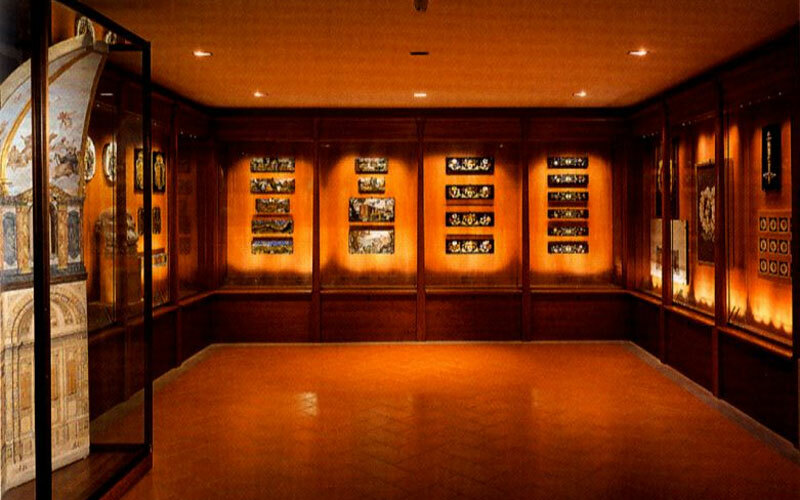 In the “Officina di Santa Maria Novella”, one of the oldest pharmacies in Europe, you’ll find the same perfume formulas used by the Medici women, as well as liqueurs and cordials made by Dominican monks using recipes and techniques that have been passed down for centuries. 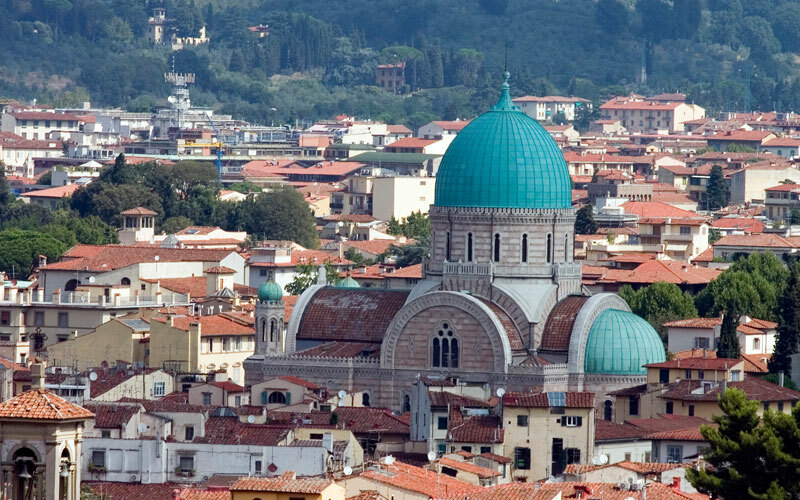 You cannot miss San Lorenzo's Church, one of the oldest in Florence. Popping on a bus from San Marco Square one block away from Hotel Casci you can reach wonderful panoramic locations, such as the hill-top village of Fiesole with the most romantic view of Florence; you can dine at candlelight in “the Reggia” restaurant watching all the lights of Florence that tremble in front of you. 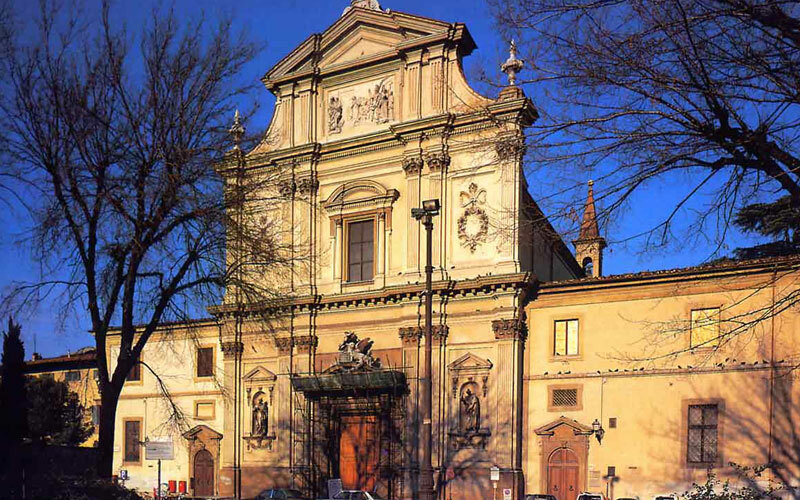 From the railway station you can reach Piazzale Michaelangelo and the near jasmine-covered Chiesa di San Miniato, where every afternoon you can listen to the monks chanting antique Gregorian hymns. with the masterpieces by Fra Angelico; not just the famous Annunciation, but also all the small friar cells, all of which have a small fresco painting - by the way, the monastery is so quiet that you can easily forget that you are right in the center of Florence. considered Italy's nicest, it survived the II World War and shows some lovely mosaics, floors and ceilings. We will help you in any way to enjoy all these hidden Florence treasures and maybe discovering some more !